Many people think that Alzheimer’s is just part getting older. Sometimes, it becomes comical when older people get forgetful. However, this is not funny because Alzheimer’s is not part of getting older. Instead, it’s a disease that needs to be prevented. As a matter of fact, even those who aren’t that old can suffer from Alzheimer’s disease. Although this is not contagious nor inherited, it can still be epidemic in a way people are not aware how to avoid it. It is a lifestyle-based disease which can also be avoided by changing your lifestyle. There is more to teach about Alzheimer’s, and this is what Alzheimer’s & Brain Awareness Months strives to achieve every year in June. The most important thing you should do in Alzheimer’s & Brain Awareness Months is to learn everything about Alzheimer’s disease and other brain disorders. You don’t have to wait for any scheduled seminar to do so. You can learn about it on your own for free by reading blogs, and other articles you can browse on the internet. However, if there are some awareness seminars to be held in your local area, don’t hesitate to join and ask questions. You can also visit a specialist and ask about all that you need to know about Alzheimer’s disease. There are many organizations and associations that are actively helping people with Alzheimer’s, dementia, and brain abnormalities. If you have some extra money, you can donate cash to any such organization. This is because most organizations that help and care for people with brain disorders depend upon the generosity of the public. If you are already knowledgeable about Alzheimer’s and other brain diseases, you can teach others in your own little way by telling your friends and relatives about the ways to prevent Alzheimer’s. You can also blog about it and share information to your social media following, so that more people will become curious and interested to learn about it, too. If you really want to go the extra mile in participating Alzheimer’s & Brain Awareness Months, you can volunteer for the campaign and work with organizations or associations that propagate information. Usually, campaign work for awareness month such as this involves organizing a series of seminars and forums. You can volunteer in any related associations or movement and help them organize or schedule such events. Along the way, you can also teach people more about Alzheimer’s. Purple is the color of Alzheimer’s awareness campaign. You can dress yourself up with anything purple and encourage others to do the same. You may also go purple on your Facebook account by changing your theme to purple color. In this way, many people will become curious about the color. Not only does it catch attention, but it also leads to explaining what it is all about. Why not go purple together with your family and friends? There are many things to be learned about Alzheimer’s and other brain diseases, and this can’t be discussed in just one sitting. This is why it should take a month to campaign for it. Alzheimer’s is a brain disease that causes a person’s thinking and reasoning skills to slow down. This disease is much more than becoming forgetful once in a while. For most people the signs start out relatively minor, and over time, the symptoms begin to progress. There are 10 warning signs and symptoms of Alzheimer’s. People can experience one or more symptom and everyone will experience the symptoms to different degrees. The most common sign of Alzheimer’s disease is memory loss. The memory loss associated with this disease is more serious than forgetting a dentist appointment or losing your keys once or twice. Most people with this disease forget things that they have recently learned. It is also not uncommon to forget dates and events. Finally, if you are constantly asking people to give you the same information again and again, it could be a sign of Alzheimer’s. Many people with Alzheimer’s have trouble following plans. For example, if you are struggling to follow a recipe that you have made in the past, it could be an early sign of Alzheimer’s. Also, if you are typically great keeping track of your bills and suddenly your bills aren’t getting paid, you should see a doctor. Finally, concentration problems are a very common sign. Alzheimer’s makes it difficult for you to complete common tasks that you can usually handle everyday. Driving to familiar locations, handling normal tasks at work, and even remembering the rules to your favorite game can suddenly be difficult. As the disease progresses, you could start to struggle with using the microwave or turning on the television. Alzheimer’s can make it difficult for you to understand time. Many people with Alzheimer’s disease believe that things from their past are occurring in the present. For example, you could be in the present, but think that things from your life 20 years ago are occurring now. It is very easy for a person with Alzheimer’s to get stuck in the past. It can also be easy for you to forget where you are. When you have figured out where you are, you can struggle to remember how you got there. There are some Alzheimer’s patients who struggle with visual images. If you have trouble reading or judging distance, it is a sign of Alzheimer’s. Also, if you struggle to determine colors or contrast, it is also cause for concern. If you have Alzheimer’s disease, it can be difficult for you to engage in a conversation with other people. In the middle of the conversation, you can forget what you were talking about, resulting in a long pause. Also, it is not uncommon to repeat yourself often. Finally, it can be difficult to find the right word for certain objects. When you cannot think of the right word, you may be tempted to make up a word for the object yourself. For example, if you cannot remember the name for a refrigerator, you might call it a cold box. A common sign of Alzheimer’s is misplacing things often. Many people with this disease will put things away in strange places. If you lose something and your loved ones ask you to retrace your steps, you might not be able to remember where you just were. Alzheimer’s disease can effect your brain in many ways. A mind that was once clear can often become foggy and confused. This drug is a central nervous system stimulant. It stimulates the body by triggering certain chemicals in your brain. These nerves prove to make hyperactivity and impulse control worse. Like any other drug on the market, prescribed or over the counter it carries with it many side effects. Some of these side effects show up immediately, and some side effects show up weeks, months, and even years later. Amphetamines, considered a dangerous drug affects all your vital organs, the brain, heart, liver, kidneys, thyroid, and can cause sudden death. Know that Parkinson’s disease is chronic (ongoing) and gets progressively worse. This disease is a movement disorder with no known cure at this time. All you and your doctor can do is try to manage the effects of this illness through medication or surgery. According to long known news reports, Michael Fox has Parkinson’s disease. Research finds that this illness short circuits vital nerve cells (neurons) in the brain. The study concluded that when these nerve cells die, they release a chemical in the brain called dopamine. Dopamine, typically released in the brain, assists in the sending of messages to the body affecting your movement and coordination. Dopamine is what helps you get through your day as you utilize thousands of various voluntary actions that you do not give a second thought. When you have Parkinson’s the dopamine in the brain gradually starts to decrease, and you find you can no long control these everyday movements at an average level. As your Parkinson’s Disease progresses, you experience some effects of this insidious disease. Everyone is different, and Parkinson’s affects each person differently. You may have one or all of the following. These effects may be severe or minor. New medical research finds that amphetamines trigger an addictive response in many people when this drug is taken long-term in excessive amounts. Amphetamines target brain activity sector responsible for triggering a feeling of pleasure thus spawns feelings of euphoria even when doing everyday and basic daily living tasks such as eating. The constant level of happiness produces definitive brain changes. People, in general, like to feel healthy, happy, and find pleasure in their day. However, these strange and ongoing feelings lead to substance abuse due to brain changes causing repeated sense of euphoria. The research concludes that this constant euphoria alters the chemical in the brain called dopamine, responsible for voluntary body movements. If you are taking amphetamines, you can develop symptoms of uncontrolled addiction, thus developing a stimulant use disorder. 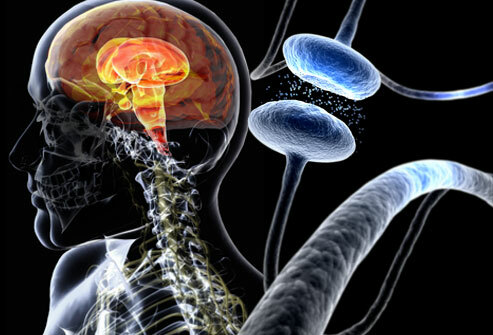 Parkinson’s disease happens when the brain chemical, dopamine starts to decrease. Dopamine is the same chemical controlling your natural voluntary movements there are two known reasons why you may develop this disease. Researchers find, after an extensive survey, including hundreds of drug and alcohol abusers, amphetamine users, and those people who took neither, that those who took these drugs had a 200% increased risk of developing Parkinson’s Disease. Surprisingly, this study showed that women had a 400% increased risk of developing Parkinson’s Disease, and it was not determined as yet why this huge increased risk for the women populace. This study was conclusive enough to say that methamphetamine and amphetamine abuse was enough to raise risks for people developing Parkinson’s syndrome. Families in Canada order more medicines per human than any other area. The variety of medications marketed by companies is no doubt a contributing matter to formula medicament abuse epidemic. Various remedies are used to treat Bladder inflammation. Certainly it isn’t all. Kamagra is a medicament prescribed to treat many upsets. What do you think about https://levitra-cost.com/levitra-20-mg.html? When you order medications like Kamagra you have to remember about levitra 20 mg. More info about Kamagra available at levitra 20mg. Generally, both men and women are afflicted by sexual dysfunctions. At times another disease can cause to impotence. Preparatory to purchasing Kamagra or other generic, speak to your pharmacist if you have any allergies. Talk to your health care professional any changes in libido you have experimental. Online pharmacy is a best way to find a doctor in your area who treats this kind of dysfunction.